Two exclusive betas have been made available to PlayStation Plus subscribers this week, including Dark Souls II on the PS3 and Destiny of Spirits on the PS Vita. Both betas are time sensitive, with the Dark Souls II beta available only for a few hours this Sunday, October 27th 2013. 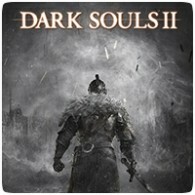 Developed by From Software, Dark Souls II is the highly anticipated sequel to the punishing 2011 breakout hit Dark Souls. The unique old-school action RPG experience captivated imaginations of gamers worldwide with incredible challenge and intense emotional reward. In Destiny of Spirits on PS Vita, building powerful spirits and working cooperatively with other users will be the key to progress successfully in the game.